Ideal for use in stairways and on doors. Multilingual safety communication utilizes ANSI/OSHA-compliant color and graphics. 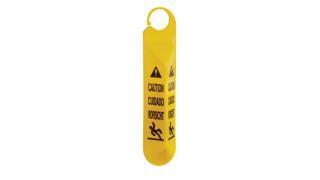 The Rubbermaid Commercial Multilingual "Caution" Hanging Safety Sign is ideal for use in stairways and on doors. 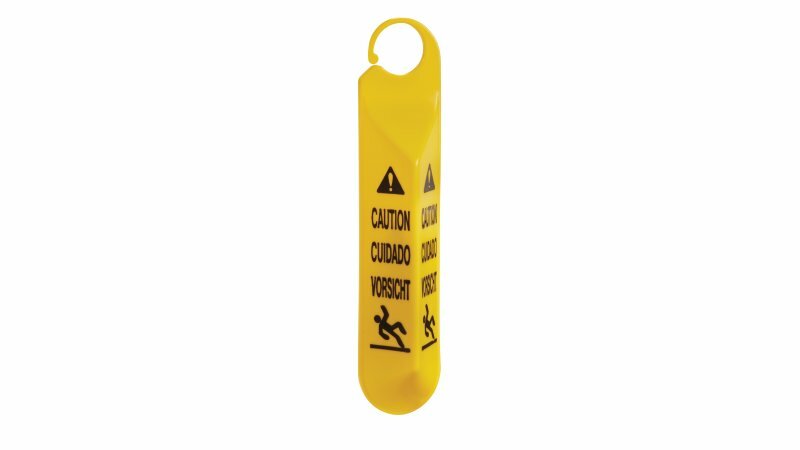 Multilingual safety communication utilizes ANSI/OSHA-compliant color and graphics.